Radioindy.com Artist: Paul Mac Innes & T.B.O.I. The swedish, Gothenburg based Soul duo no one, Paul Mac Innes & T.B.O.I. now make their self titeled album available worldwide. This album expresses their love for soulful music and the result is their very own soulful sound, carrying influence of Jazz, Hip Hop and RnB. Having earlier created a "buzz" on Nik Westons Mukatsuku imprint with a 7" vinyl printed in only 300 copies, Paul Mac Innes & TBOI have received airplay and attention from world famous DJs & Urban magazines (Such as Gilles Peterson, Francois Keworkian, Dj magazine and Blues & Soul Magazine, etc.). The new international version of the album contains three bonus tracks. One a remix by Gothenburgs own Beatr8. The album was previously released in Japan only, through p-vine records (2007). The album is available digitally through downloadstores such as iTunes, Napster & Amazon. The physical CD will be available to order on Cdbaby.com (super d distribution), juno or straight from the artist at the website and myspace. Dragon, the Soul togetherness compilation, Georgie Fame an much more. Paul is right now being featured on the Bamboos side-stepper album (truthoughts) aswell as on , Bennsons, Let the love album (rawfusion). FANS - Please checkout Paul Mac Innes & T.B.O.I. page and sample / purchase some great new music! 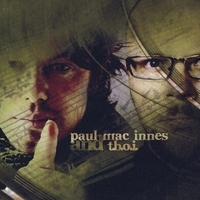 Radioindy is pleased to announce that we have published our CD Review for Paul Mac Innes & T.B.O.I. to YouTube.com. "Paul Mac Innes & T.B.O.I." Reviewed by RadioIndy.com! “Paul Mac Innes & T.B.O.I.” is an impressive self-titled release from the Swedish duo comprised of vocalist Paul Mac Innes and saxophonist/drummer Björn Almgren, also know as T.B.O.I. (The Brother Of Invention.) Their sound is a highly polished blend of rock, jazz, pop, soul, and R&B that is radio-ready. Just one listen to this album and you realize that the primary focus here is on creating well-written songs with lovely melodies and performed with a high degree of musicianship. The production is clean and professional throughout, with a pleasing lack of overproduction and tricky effects. “Welcome to The Bunker” is a strong opener, with a silky soul groove and vocal harmonies reminiscent of Steely Dan. The vocals are incredibly strong throughout, beautifully layered to produce the desired effect on each track. Listen to the superb harmonies on “Need” and “Time? !” for great examples of this. “Even Though” has a definitive gospel flavor, showcasing the group’s versatility. The rhythm section is extremely strong on this entire album, with funky bass lines and in-the-pocket drum grooves throughout. “What You Do” features the melodic saxophone of Almgren along with his tasteful, inventive drumming. “Paul Mac Innes & T.B.O.I.” is a creative collaboration between two very fine musicians, and the product they have produced is a very original and enjoyable form of soul music. Fans of Steely Dan and Sly & The Family Stone will want to check “Paul Mac Innes & T.B.O.I.” out. RadioIndy is pleased to announced that we have published our CD Review of Paul Mac Innes & T.B.O.I.y's music to CD Baby. FANS - Please checkout Paul Mac Innes & T.B.O.I. 's CD Baby page here and sample / purchase some great new music! Paul Mac Innes & T.B.O.I. on iTunes! RadioIndy is pleased to announced that we have published our CD Review with Paul Mac Innes & T.B.O.I.o's music to iTunes.com. FANS - Please checkout Manny Vacchiano's iTunes page here and play / purchase some great new music! RadioIndy is pleased to present Paul Mac Innes & T.B.O.I. with a GrIndie Award for the CD "Paul Mac Innes & T.B.O.I. " Radioindy Review for Paul Mac Innes & T.B.O.I.o has been added to Myspace Music! Paul Mac Innes & T.B.O.I. Press Release on Digg.com! RadioIndy created a CD Announcement Press Release for Paul Mac Innes & T.B.O.I. FANS: Increase the popularity of this DIGG press release by visiting our homepage at www.radioindy.com and looking for the "Press Release" section in the lower right. Here, you can find and "DIGG" this press release for Paul Mac Innes & T.B.O.I..
Radioindy has published Paul Mac Innes & T.B.O.I. CD Review to lala Music Online. FANS - Please checkout Paul Mac Innes & T.B.O.I. la la and play / purchase some great new music! RadioIndy is pleased to announced that we have published our CD Review of Paul Mac Innes & T.B.O.I. 's music to Facebook. FANS - Please checkout Paul Mac Innes & T.B.O.I. 's Facebook post here and sample / purchase some great new music!